The text marker produced using filter paint flow system Is an effective and unfailingly working article of extraordinary design and ergonomic shape. 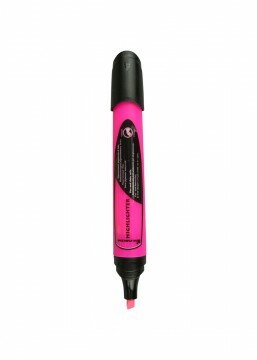 High capacity and the possibility of refilling the marker with the paint Is the guarantee of long-term use. The marking is not visible on xero and fax copies. The marker Is an Inestimable tool for office and home work.